Events Free Comic Book Day Specials! Save the Date! May 4th is Free Comic Book Day. We have a ton of special offers happening that day. 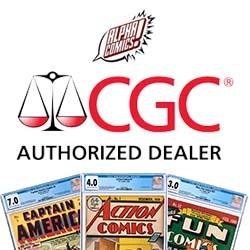 Graded Comics: In-stock graded comics 50% off!